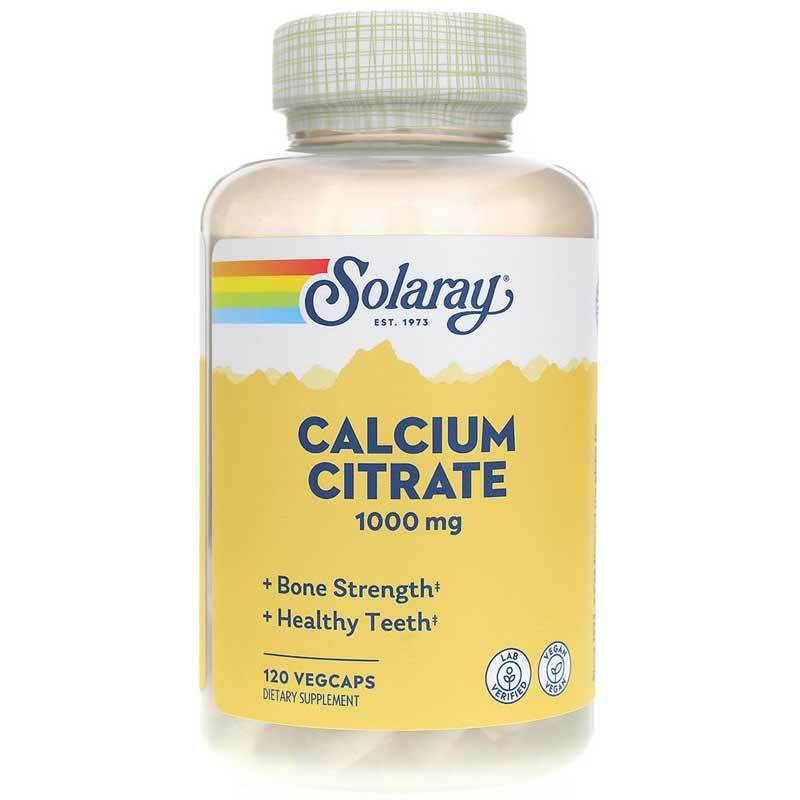 Solaray's Calcium Citrate supplement is specially designed to support maximum calcium absorption. 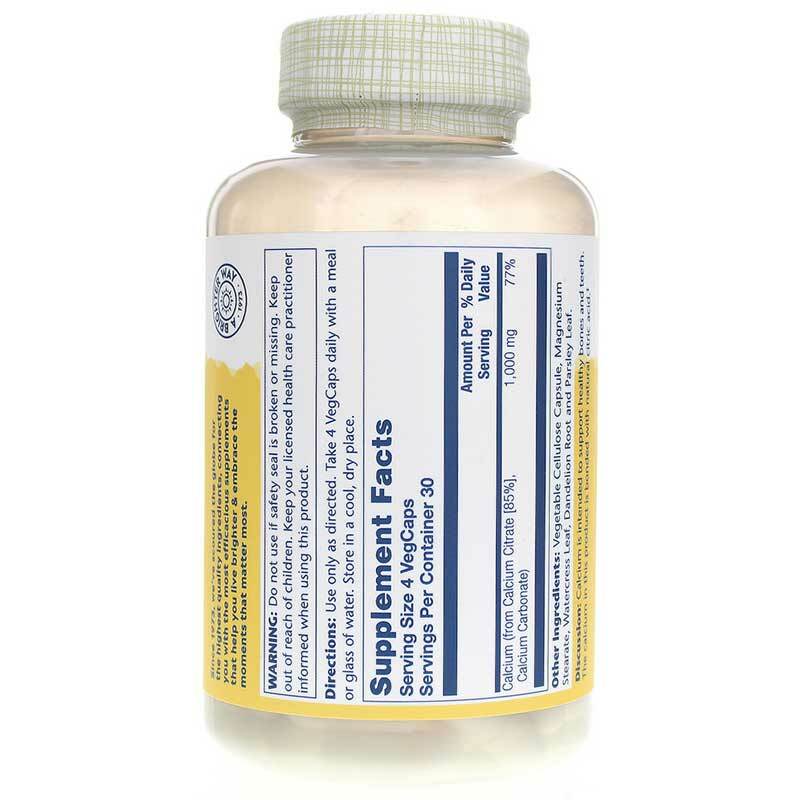 This dietary supplement bonds calcium citrate, a more readily absorbable form of calcium, with citric acid to increase absorption for those with low levels of stomach acid. Solaray's 100% Vegan and Non-GMO Calcium Citrate also includes a variety of herbs for further nutritional support. Calcium is an essential nutrient for the health of nerves, tissues and bones. This mineral is so essential for the proper functioning of your body that if you do not consume enough, your body will begin to extract calcium from bones in order to perform necessary functions. A highly-absorbable calcium supplement may help you get the level of calcium your body needs for a variety of critical functions. As a dietary supplement, you can take four vegetarian capsules daily with a meal or a glass of water. Other Ingredients: Vegetable Cellulose Capsule, Magnesium Stearate, Watercress Leaf, Dandelion Root and Parsley Leaf. Adults: Use only as directed. Take four VegCaps daily with a meal or glass of water. Store in a cool, dry place. I always receive exactly what I order, and it arrives half way across the country in 2 days. Prices are very fair too! Timely delivery, great product, best price!